NOTE: The photo doesn't show the delicious gravy that this recipe makes. 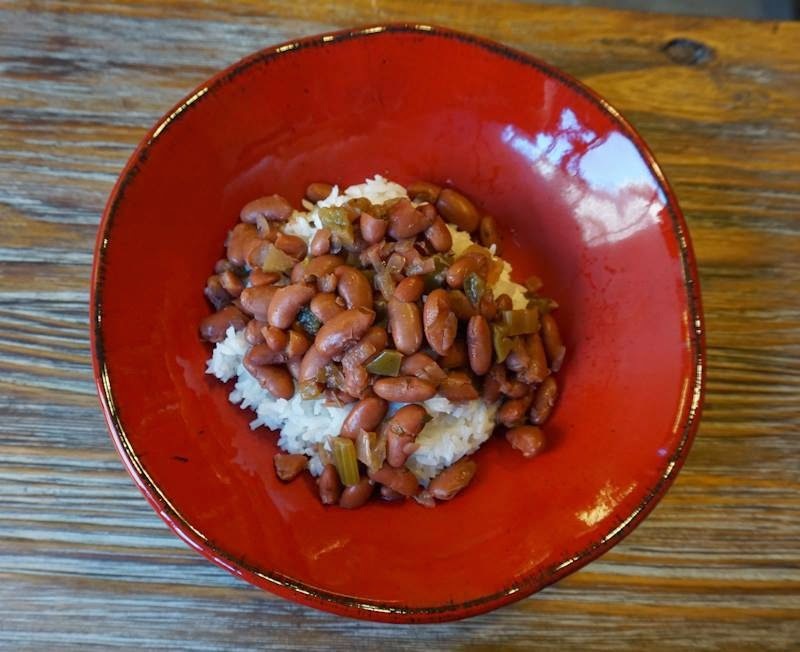 It can be poured over the beans and rice before serving. Dump everything (EXCEPT the rice!) into slow cooker. Cook, covered, at HIGH 7 hours or until beans are tender. Serve with hot cooked rice. NOTE: Use only 5 cups of water when cooking in the pressure cooker. Dump everything (EXCEPT the rice!) into the electric pressure cooker and set the pressure manually to 30 minutes with NATURAL RELEASE. Open the top when it has released. NOTE: If the "gravy" is too thin, you can click on the saute button and evaporate some of the liquid and it will thicken. Just make sure to stir it. If it's too thick, add a bit more water to the "gravy."